The 2010 Toyota Desert Race was a delight to watch! The winner was none other than Hannes Grobbler in a BMW X3 - who is the favourite driver for Batswana. The race was moved to Kumakwane village as the start and finish point which is 25km west of Gaborone. The race usually takes place in Gaborone with Game City Shopping Mall used as the start and finish point. Much of the areas of Kumakwane, Gaborone and the surrounding towns and villages was abuzz with fun and excitement. This part of the country was transformed into one large picnic area as spectators spent the entire weekend of the race 24-26th September chasing the racing cars during the day and camping out in the wilderness at night. With Grobbler of team RFS Motor sport winning the race he was followed by Chris Visser in a Toyota in second position and Duncan Vos of Toyota in third. The latter was last year's winner in a Nissan Navara. The race had sand master cars running in the special category. There were motorcycles and quad-bikes which used a different route to that of cars. 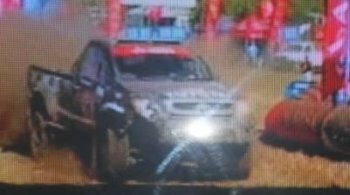 The Toyota Botswana 1000km Kalahari Desert race is a premier race out of a calendar year long championship series that largely takes place in South Africa. Batswana were surprised that for the 2010 race their favourite driver Hannes Grobler was driving a BMW X3 instead of the Nissan Navara! The desert race is supported by both the Botswana Government through the Botswana Tourism Board and Motor-sport South Africa. The Toyota Botswana 1000km Kalahari Desert race is the ultimate thrill of the off-road motorsport, and the only 4x4 rally that genuinely rivals the Dakar Rally! The race in Botswana nicknamed Mantshwabisi, after a small village in the Kweneng District where the race route passes, is undoubtedly the biggest sporting event in Botswana. The race takes place on a route that has thick sand, riverbeds and some remote areas of the Kalahari Desert. The drivers that participate drive 4x4 trucks, quad bikes, motorcycles and sand masters.